Healthcare and Life Sciences (HLS) industry is adopting blockchain technology as a lever to redefine processes and drive efficiency and transparency. It has witnessed adoption of multiple use cases such as cold chain logistics, device condition provenance flow, provider credentialing, and healthcare record interoperability. The industry is witnessing a phasing out of the hype that has surrounded blockchain technology, which is allowing real enterprise blockchain use cases with pragmatic business value to see the light of the day. Some of these use cases have started to show early signs of blockchain business value realization. Enterprise investments in blockchain technology were at an all-time high in 2018 and we expect it to more than double in 2019. 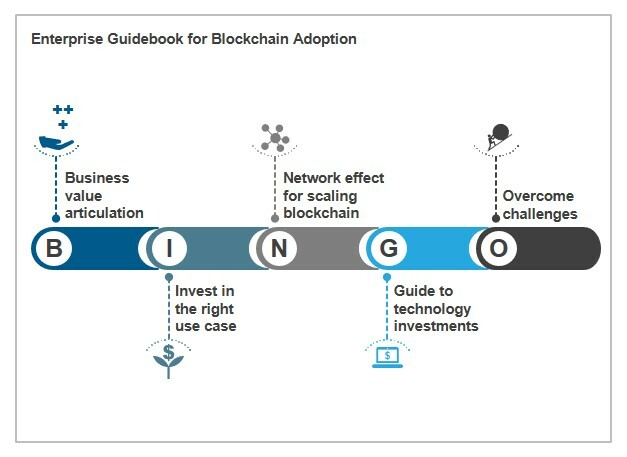 In this report, we have analyzed 40+ blockchain projects to identify the blockchain adoption journey in the HLS industry. We have identified and listed down 15 use cases across the HLS industry to bring out proof points of blockchain adoption. This report suggests that HLS enterprises will need to partner with blockchain ecosystems to scale beyond proof of concepts. This report will provide a roadmap of blockchain adoption to HLS enterprise executives leading blockchain initiatives. It will guide them to extract maximum value by studying current value delivered and build pragmatic hypothesis on potential value. It will demystify the blockchain technology landscape and help identify the right set of partners for the business use case. This report also highlights the challenges that HLS enterprises face along their blockchain adoption journey and the ways to overcome some of them.